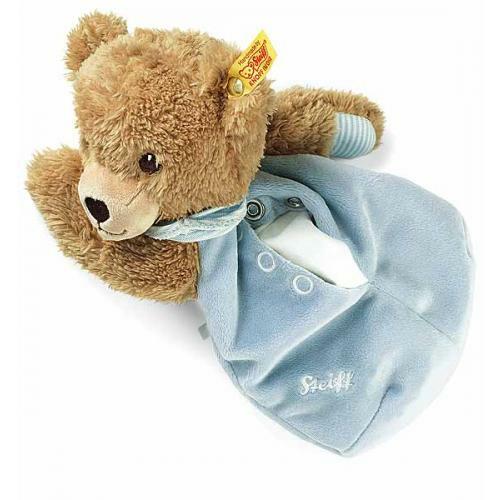 Steiff Sleep Well Bear blue heat cushion, with removable cherry pit pillow. 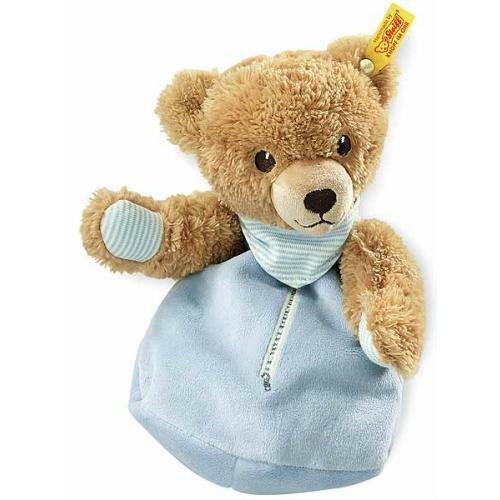 Made of beautiful soft blue plush for a baby's delicate skin. This addorable Sleep Well Beat Hear Cushion has safety embroidered eyes and is machine washable. Full usage instructions are supplied with this item and should be adhered to. 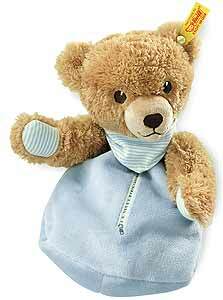 The textiles are tested for no harmful chemicals and Steiff have listed the size as 25cm.